Back in 1997 a friend and I started painting graffiti on trains around Greece and at the same time we improvised in punk and metal bands in Villa Amalias and various anarchist squats around Greece. This ”game” evolved to the point of deconstructing the graffiti ”form” and ”language” and created the intervention group OMIO (early 00’s), a team based on interventions within the urban space and the documentation (filming) of abandoned structures such as metro tunnels, war bunkers, train cemetery’s etc. We made a lot of films and finally started doing sound work in parallel with our intervention practice. So in 2003 and after collecting the analog synths that were thrown away or sold next to nothing during the ”digital revolution” of the late 90’s I started composing electronic music, trying to restructure the sound and feeling of the urban spaces that I have been visiting since the beginning. One thing led to another and loads of different projects and collaborations sprung from that moment, from my synth punk band ΟΔΟΣ 55 to the Black metal noise project Yorgas Helmet and up to my solo work under my ”true?” identity and name, ceremonial, experimental noise, drone etc. My latest release is a Youtube demo. It is a recording of my last live under my alternate identity as Yorgas Helmet, that took place in Temple (during a support set I did for Prurient’s live in Athens). A project that is based on my solo noise style mixed with black metal. 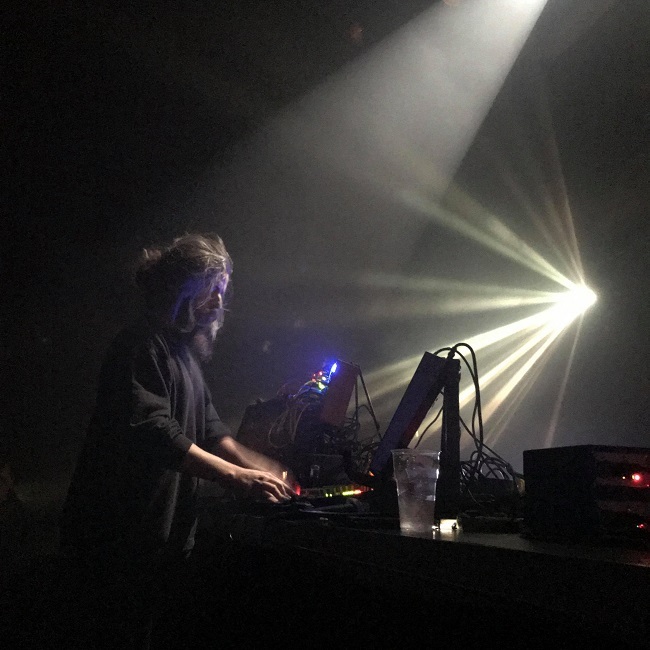 Recorded live in Athens 25/11/18. ”The date was 29/04 1975 according to the ship’s log, and while on their normal sailing route, aboard the SS Asiatic / Monrovia, second in command Stavros Rallos noticed a fleet of moving lights on the horizons sky. (More than 3 Arab sailors have confirmed the sighting along with reports from Distant Early Warning Systems radars). Under the fleet of the unidentified metallic objects, directly facing the stern, they could see a blurry vision of a ship that they could barely make out as SS Atlantic slowly fading within the mist. Georgios Karamanolakis Presents : YORGAS HELMET In YORGAS RETURN. Youtube Demo. Release. 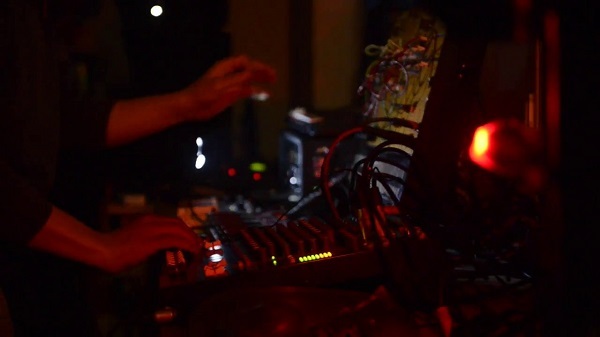 A Black metal- noise, free impro session based on Modular synthesizers and electronic voices. 3 classic black metal riffs executed by a modular synthesizer provide the base of the whole structure that varies from ice cold winter ambiances of wind and snow to extreme black metal noise walls. The biggest influences of my practice include artists and various works of art alongside with everyday observations of my surounding structures / spaces. I am the ”ideal viewer” of the work of film maker Gregory Markopoulos, he is probably one of my major influences and the artist I have studied and researched the most, alongside with classic avant garde music composers like Anestis Logothetis, Giannis Christou and experimental Japanoise like Hanatarashi, Astro, Incapacitants etc. This sound is the sound of an alternate reality, the sound of a shaman that never existed, the sound of a cult that never formed, the sound of the ”uknown”and the sound of different spaces merging into one. It is the sound of the common past unified with the sound of the future. What makes it different to other similar works is the fact that I use a hybrid arrai of digital and analog synthesizers along with electroacoustic techniques and they are all approached in a free jazz, hands on mentality. In my practice the academic experimental music of yesterday is merged with the underground noise of the 80s and 90s. Every sound is created or manipulated live in real time and the machines I use often are very rare, modified and preprogramed to perform aleatoricaly on their own, keep in mind that you will probably never have the chance to hear them elsewhere utilized in the same way. Andrei Tarkovsky / Stalker. Gregory Markopoulos / Eniaios. Katsuhiro Otomo / Akira. Richard Berry Seager / Archeologist and Proper Gentleman. Jean Baudrillard / Simulation and Simulacra. Katerina Kakouri / Dionysiaka. Anestis Logothetis / Fantasmata. Zoviet France / Mohnomise. Various / Greek Electronic Music 1. I always perform live, even in the studio. I rarely multitrack on computers. One of the most unique memories that I have is living in the same house with Astro from Japan and talking non stop about modular synths, noise and the past. My most unique track that I would like to point you to is always the next one. My future plans include the release of a 12”lp record featuring live recordings of 2 live sets from last year, one is the live set that I played supporting one of my favorite artists Drew McDowall. I also plan to try and release the Yorgas Helmet live on 12” lp. I have more than 5 works ready and waiting their turn to be released. Further plans include to play as many live sets as I can and to continue with my Athens Inner City Broadcast show on Resonance Extra. Name some of the artists you have collaborated or shared the stage with over the years. Some of my most memorable collaborations are with musique concrete legend Jean Mark Fussat on our 12” lp Substunce Sans Scrupule and playing live and recording with Japanese noise artist Astro (Hiroshi Hasegawa). I am also very happy that I got the chance in 2018 to perform alongside Drew McDowall from Coil and the amazing Philip Niblock.